MY TROY LEE EDGE COMP. When I look back at all my years of mountain bike riding and racing I have done, then come across something I have kept as a memento from my early days, it makes me think just how far we have progressed with bikes, parts, and riding gear. While reorganizing my mountain bike area of my garage I came across my first DH helmet. This was one of Troy Lee Designs first helmets that he brought out, sort of, but he did and it was the “Sh_t to have” (read on). After strolling through memory lane in my mind of those fun DH days, it made me think about what this helmet resembles or more about what it represents today. There’s no way this would be close to a DH helmet by today’s standard. Then it hits me! 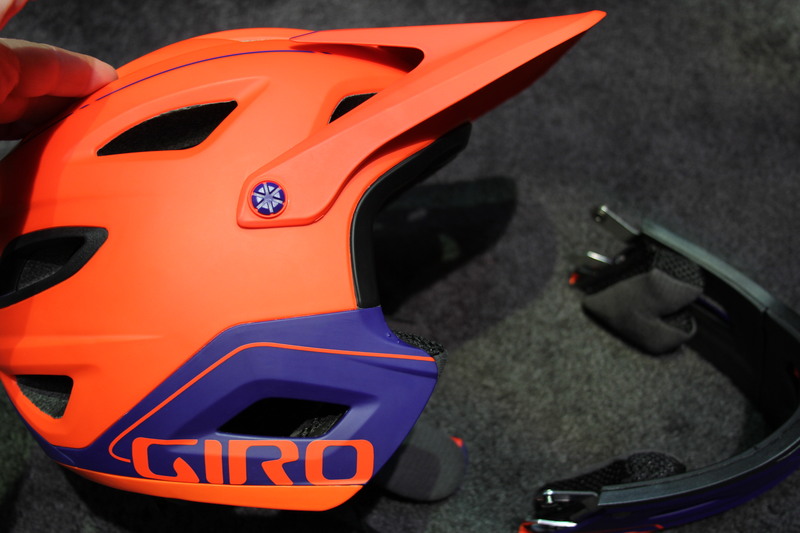 It’s more like an Enduro or All-Mountain helmet. 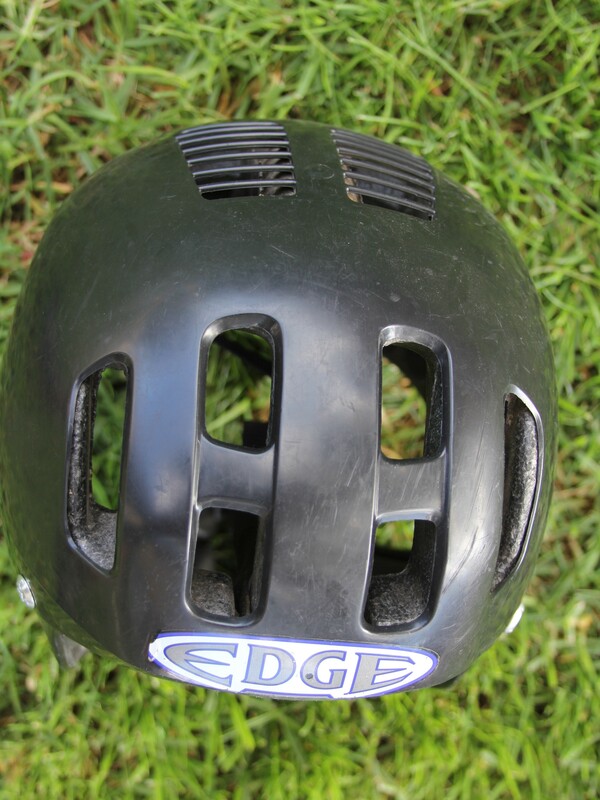 It was called the EDGE Comp, but what most of you out there may not know is, the Edge Comp started life with a well-known helmet company. My guess is they thought their name would make the sales in mountain biking, but as we all know this may not be the case and back in the early days of mountain biking this really didn’t work to often by name and reputation alone. Shoei Helmets brought out their first mountain bike helmet with no chin bar at the time, it was a new cool style XC helmet. Something way different then the traditional XC helmet (which had about as much style as an all foam helmet from KMART). 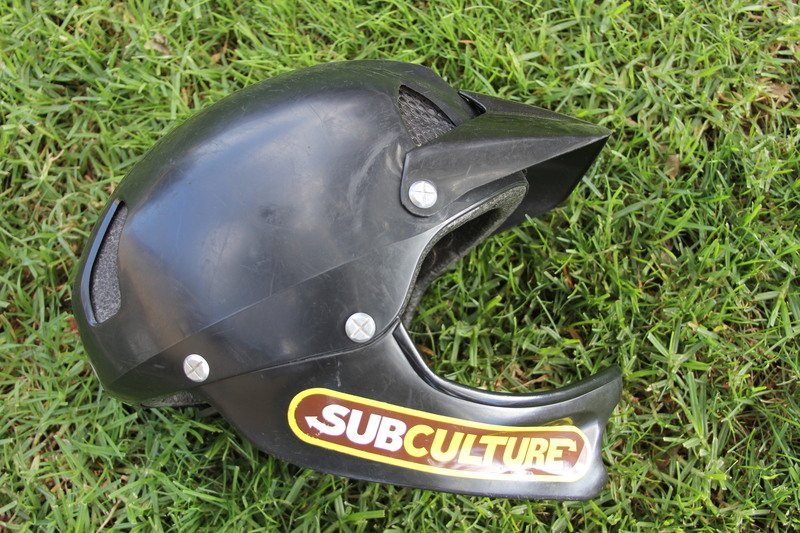 We go back to 1990, Shoei helmets (big in the moto market) thought to break into the MTB market, calling the new helmet the RC3 it came with no removable chin bar (like the TLD Comp) and looking to capture the XC crowd by storm Shoei was heading in the right direction, or so they thought. Shoei knowing Troy Lee for being a leading graphics painter in Moto race circles, thought Troy Lee could do something with it, spice it up a bit, make it look COOOOOL. 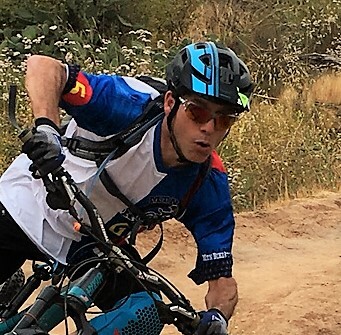 Troy Lee recognized the potential with the helmet. He tweaked the peak, added a decal graphics package with it so you could make it cool and “BAM” you have a seller. BIG VENTS KEPT YOU COOL UNDER PRESSURE. Next you have some of the top pro riders at the time wear it, BAM!! 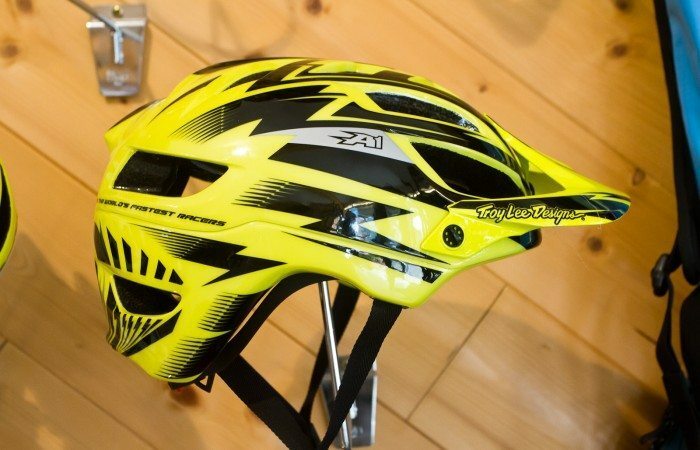 Pros loved this helmet, Troy Lee eventually acquired the rights to the RC3 and Troy Lee called it the Edge Comp. With Downhill becoming more and more popular in the mid 90’s, Troy Lee saw the need for more protection. At this point he added a chinbar that could be removed simply by unscrewing the four screws. 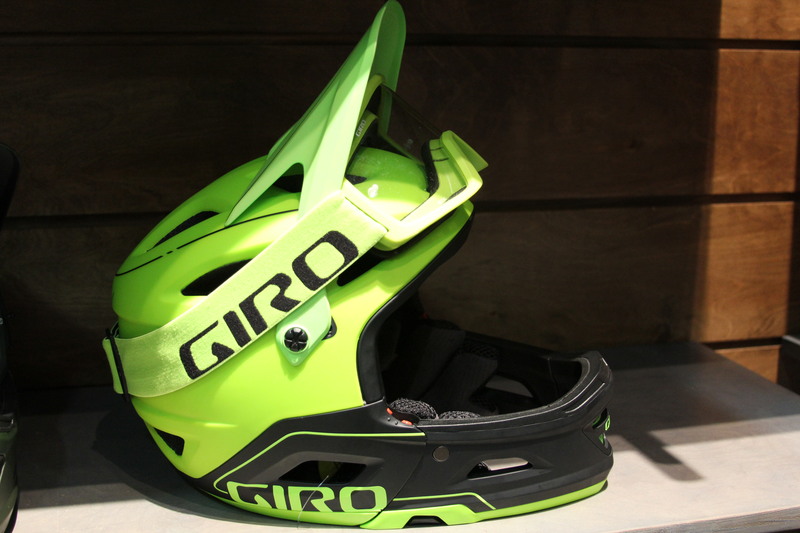 suddenly you have the best of both worlds, a DH helmet or an open face XC helmet. 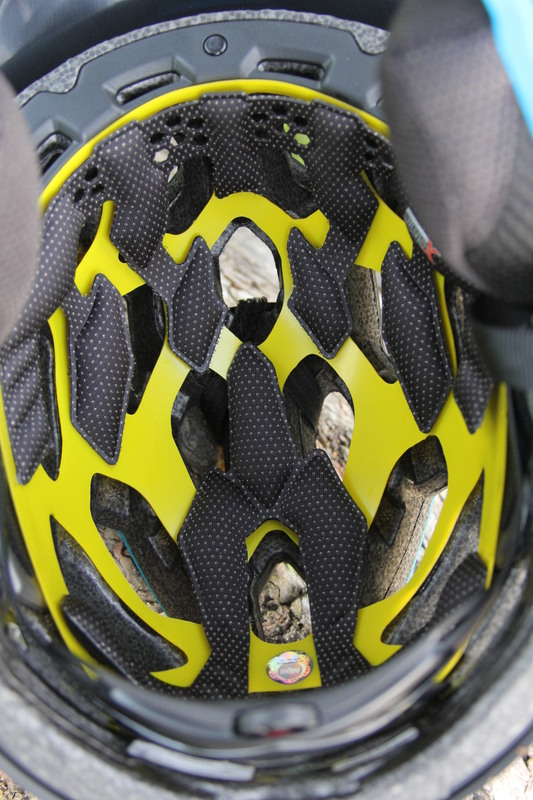 Something we call All-Mountain, Trail, or Enduro helmets today. I started noticing what made this helmet so unique in itself is that when you look at all the features it has, you see what a lot of the newer helmets have in them. The DNA of the Troy Lee EDGE Comp is evident with the new designs out there from Its full rear / side head coverage, removable chinbar, large venting and overall fit, not to mention cool style. TROY LEE STILL MAKING COOL HELMETS. I found it funny to look at it and think, “Wow, the new helmets out there today are not that much different in the style and design structure (OK structure is different, but you know what I’m talking about). 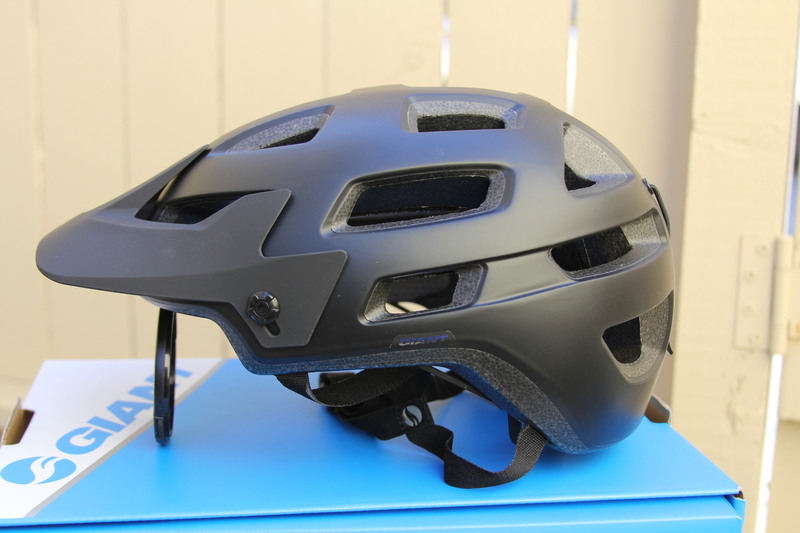 GIANT BICYCLES RAIL HELMET MIPS. THE BELL AND THEIR SUPER 2R CHINBAR REMOVED. Just look at the Bell Super 2R, Giro Switchblade, Leatt DBX 3.0., 6D, Fox and so many more. When you compare the look of these helmets in full-face or All-Mountain mode to the older Troy Lee Edge [RC3] they share the same general DNA features. 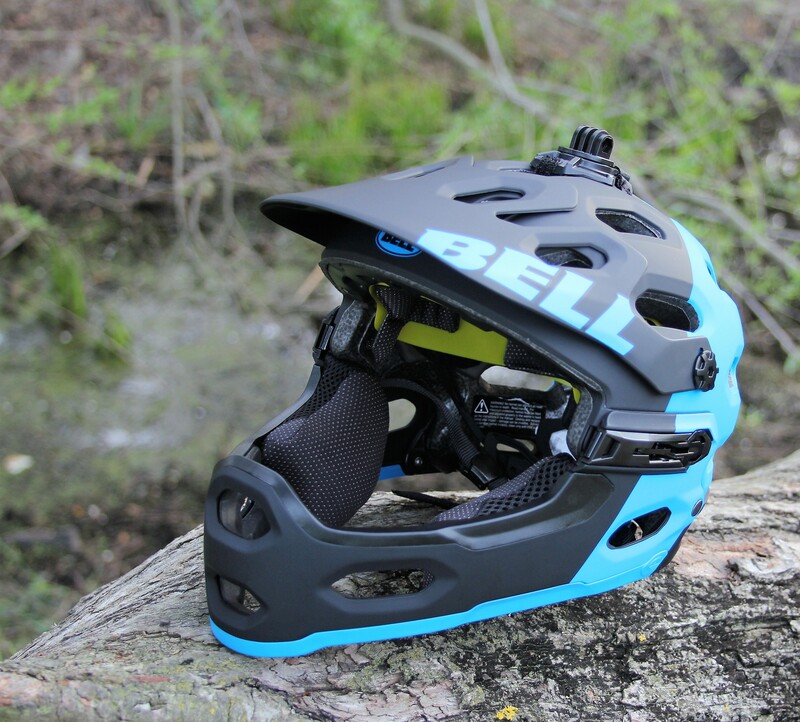 Some may be a full-face helmet with removable chinbar, big venting, or All-Mountain / trail helmets like 6D, FOX, and others. In other words you get great coverage and comfort for long rides all in one. QUICK CHINBAR REMOVAL ON THE GIRO. 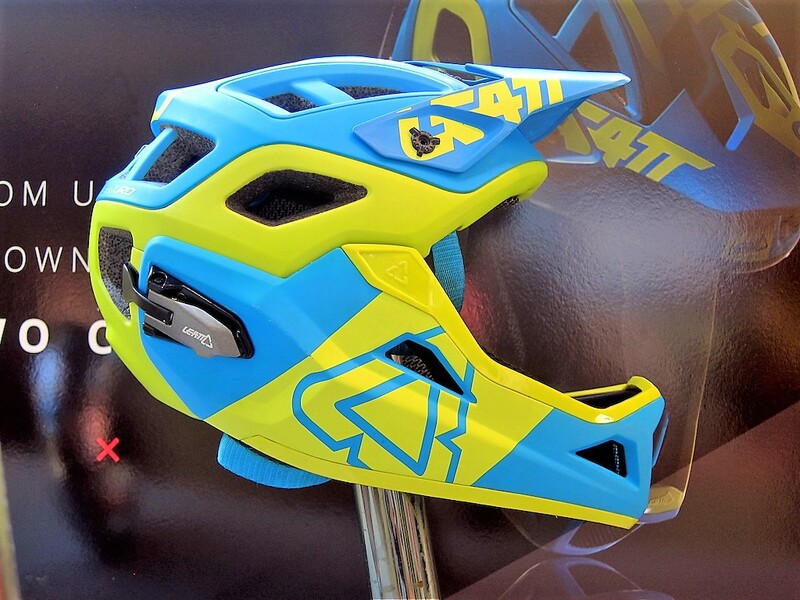 LEATT’S DBX3.0 IS A CLEAN HELMET FROM THE GUYS THAT INVENTED THE SAFETY NECK BRACE. 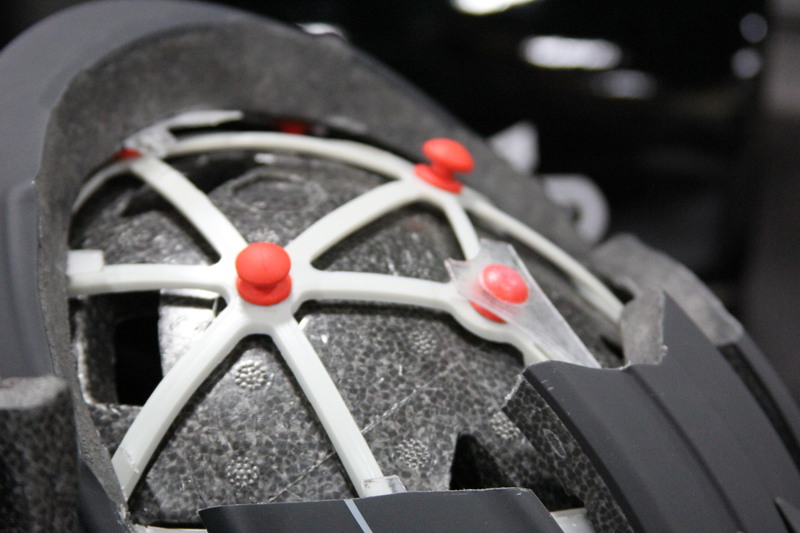 With the advent to new technologies, better materials, and better understandings of head trauma, cycling helmets have become far better safety wise these days. Style is everything to most of us, I mean really, we have to look good on the trail. From the moment you pull up to the trail and unload your bike the style points are starting with your peers, Lol. All kidding aside we do care about safety and the manufactures care as well, especially to the head. 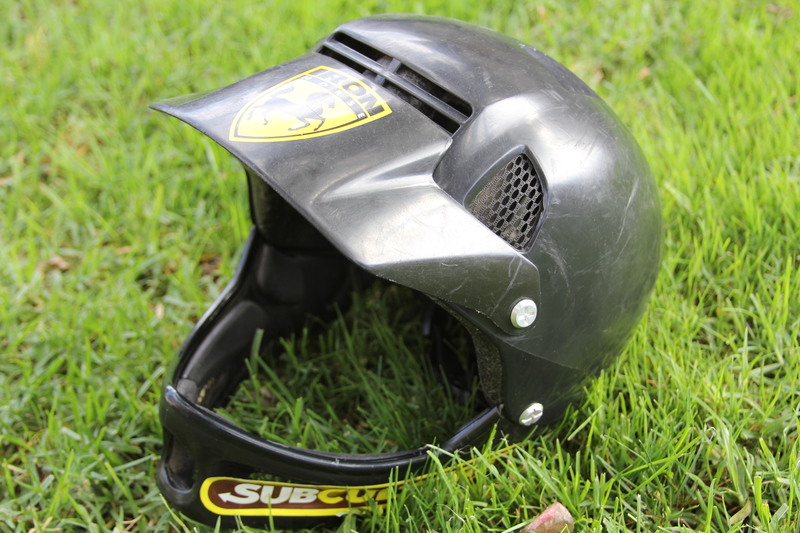 You will find many companies out there using the regular old EPS designs still and there is nothing wrong with that at all, but if you have the chance to help save your head with a bit more safety, why not be smart and do this for yourself. We may all know someone that may have had a head injury from mountain biking, I know I have and with what’s out there now makes me wonder if it would have made a difference had my friend been wearing one of these new helmets today. These new designs come in many acronyms. The most well-known of them all and I believe one of the first was MIPS. You have 360Deg Turbine Technology by Leatt, and 6D has ODS. 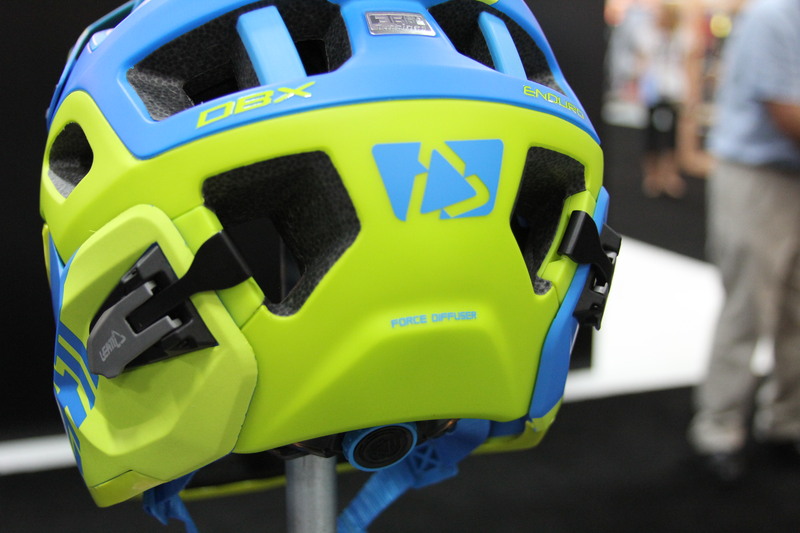 These new technologies have been the big game changer for off-road cycling helmets today. Manufactures are making helmets that will help the rider to better survive a nasty shot to the old noddle. Even if you may not have a whole lot up in that area, let’s keep what you do have intact, shell we. What do these safety features do? There are two things that are being achieved here, one is the reduction of rotational acceleration to the head and brain and number two is the absorption of energy during impact at concussion level. So, let me give a brief explanation of what these do for you, told by the companies that make them. Most of you out there may know or have heard of what MIPS is. The MIPS system is used widely by many companies. Some will simply add this to their helmets EPS liners, while other companies will design it into their helmets for better fit with your head. 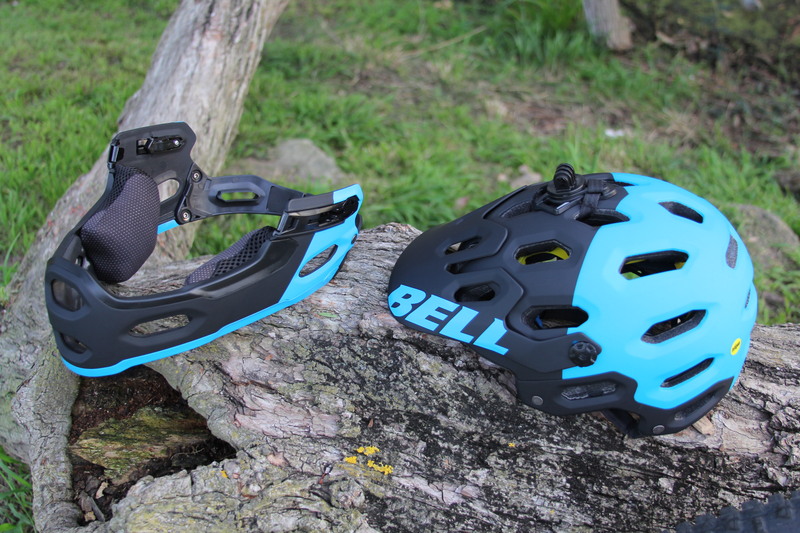 Bell uses it in their Super 2R, Giro in the new Switchblade, and many bicycle manufactures like GIANT use the MIPS systems with their MTB helmets. 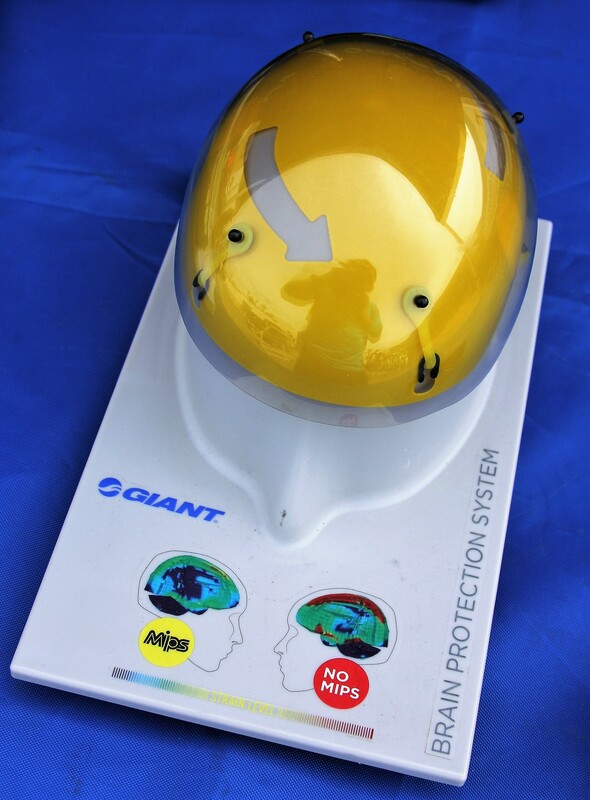 MIPS stands for Multi-Directional Impact Protection System, this is a leading slip-plane system placed within the helmet to help reduce the rotational forces that result from impact. Kind of like having a floating layer the will move when hit. LEATT TURBINE 360 WITHIN THE EPS. 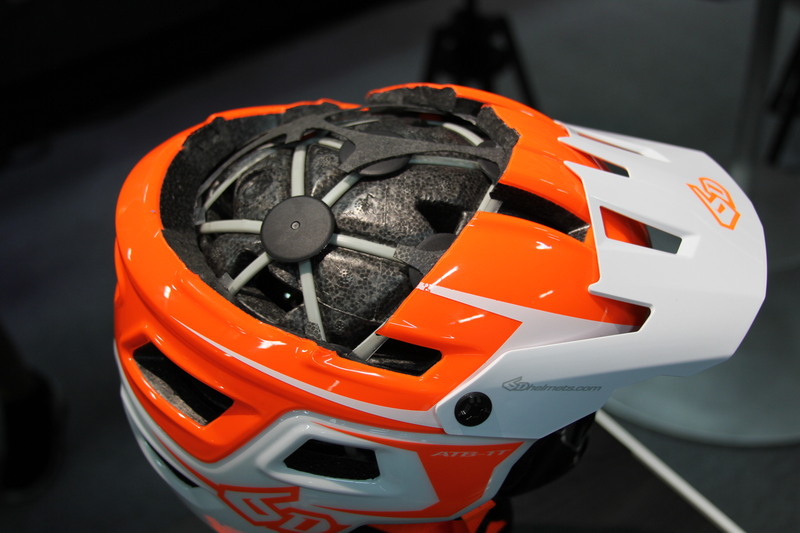 LEATT, a leading safety company known for the development of neck brace protection has developed their own system called 360Deg Turbine Technology. Turbines made of 3D molded energy absorbing material. The best way to describe this is they look like small rubber disc that are placed within the EPS liner around the helmet. The two advantages to this are the reduction of rotational acceleration to the head and brain and the absorption of energy upon impact at concussion level. 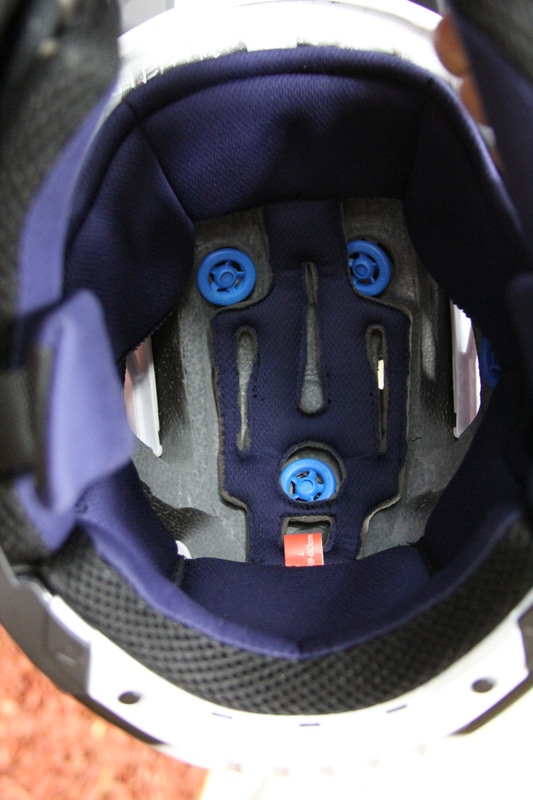 6D helmets is another company that takes their helmet safety seriously. They have developed their system called Omni-Directional Suspension technology (ODS for short). What make their helmet safety unique is how it works. You will notice the word Suspension in their description of the technology. That’s right, suspension in a nut shell or brain bucket in this case. 6D has dual EPS liners with Elastomeric Isolation Dampers in between. What this does is allow for downward and upward, rotational, and side to side impact safety. If you look at one of their cut-away, it seems like it would be free floating within the two EPS liners with little rubber shocks so to speak. Very cool. This is just the tip of what is out there when it come to new helmet safety. It blows me away to look at my old Troy Lee and see what we have today versus what we have now. It makes me think, “WOW, I rode in that thing and took a killer hit to my head in it while racing a Big Bear AM-CUP. 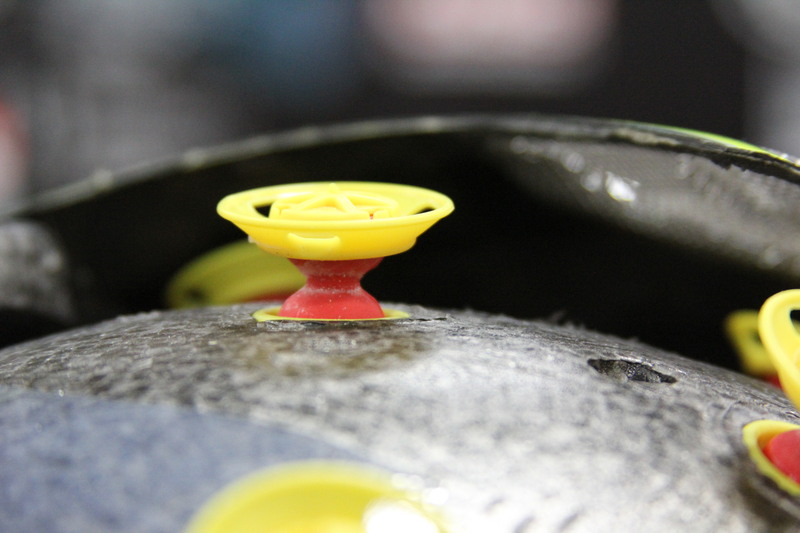 I rang my bell for sure and it saved my head, but how would that hit have differed to my head while using one of the new helmets with this new safety technology in. With all research in head trauma, new technology and materials, it has made one thing clear. Companies care about their customers well-being, not just making a buck off of us. So, when you are out there and you are ready to make that next helmet purchase give a little thanks to guys like Troy Lee and Shoei for seeing the future, pushing the envelope and making us safe. And give thanks to all the new guys that are pushing forward on how to keep us riding everyday. Ride safe and ride on….